I researched many facilities online, poring over reviews, and this place was the best IMO. And thankfully, South Coast Self Storage lives up to their reviews! It's been a such pleasure working with both Lorena and Jocelyn to secure my storage space at this facility. They are both very knowledgeable and friendly. I spoke with Jocelyn at length today and she is such a wonderful person with a great attitude! The building is secure, clean, and well-lit. The location is great. Signing the paperwork was a breeze. They have great hours and I really, really love that they have autopay! Exactly what I was expecting nothing more nothing less. We moved from a different place into south coast, we couldn't be happier. Our unit is well lit and clean. There is no funky smells and Matt was very nice and helpful. It was a bonus to borrow the free truck to move everything over in one shot. So happy I switched my storage here - the move in was easy, the workers were friendly, and you can't beat the pricing or cleanliness! It was a pleasure to deal with Matt, he was courteous and easy to talk with. He was able to answer all of my questions and was very helpful. 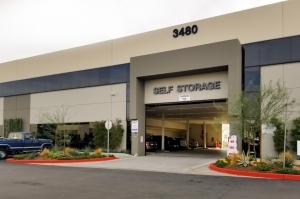 I would definitely recommend this self storage to anyone. It was like a sauna, I was sweating bullets when unloading my boxes. Clean and well lit except the heat inside. This manager is not very customer-service oriented. She speaks like a robot and has zero personality. I had a problem with opening the gate as it read "account temporarily suspended". I asked her to come out and help me and she did not and acted as if I were the problem. Then there was a very negative experience I had with her regarding returning the moving truck full with gas. The needle was on the full mark for the gas tank and she said I still needed to pay for miles driven. I thought this was terrible customer service for a new move-in. I will not be staying here long. 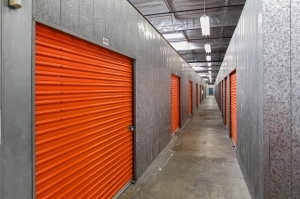 This was my first time renting a storage unit, and it couldn't have been easier. 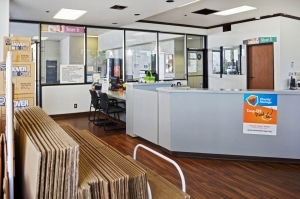 The staff was very friendly and helpful, and the signup process was quick and painless. 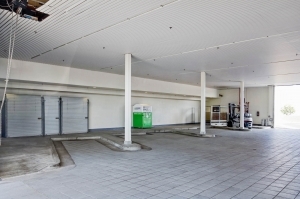 The facility is in a safe area, and there is parking and carts to make it convenient to move stuff into your unit. The pricing was competitive as well. 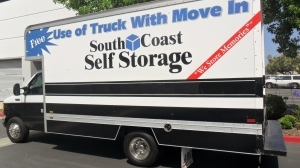 Overall I would absolutely recommend South Coast Storage! I had an easy sign up and a very nice customer service rep help me out. answered all of my questions and made me fell welcome. I arrived at nearly noon. The office was already showing a sign that they were out to lunch. The young lady who works there was just leaving out the back door. I saw her and she immediately said let me help you. She processed everything and took a late lunch. Not often you see that happen. Very good customer service! My experience at SCSS was great. I went to check out the unit and thought it would be too small for what I needed. But the first rep I met with, Gaby, was helpful and assured me my belongings would fit because my previous unit was just one foot smaller. I went home to measure and returned a few days later and met with another rep, Lorena I think was her name. She answered more questions my husband and I had. She gave us helpful tips. Paperwork was easy and nothing out of the ordinary. Both reps where very friendly and knowledgeable. The unit I found though selfstorage.com was almost half the price and slightly bigger than I previously had! 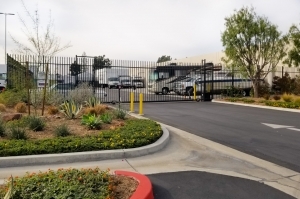 I'm very happy to have gone through selfstorage.com and have already recommended this site to friends!! 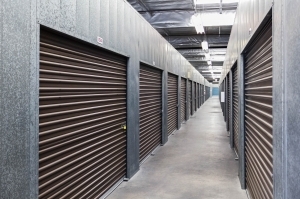 The best experience yet that I have had at a storage facility. 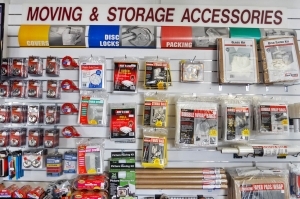 It is secure, friendly and a great place to store any items that people might have. This place is awesome... the units are totally secured, which makes me feel safe leaving my stuff here. I have to have codes to get into the facility and up the elevator. The staff has been nothing but courteous and helpful the whole way through. Hours are great, unit is spacious. Totally worth the money. 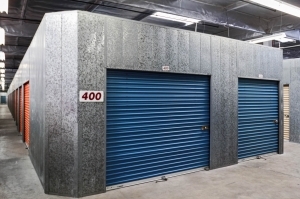 I would recommend this storage facility to anyone looking for a place to store some of their personal items. My experience was smooth as silk. From the paperwork to the move in. Everything was great and problem free. The one thing I would suggest is keep the trash bins unlocked and open for patrons to use.